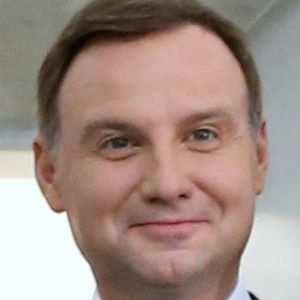 Polish career politician who was elected as the country's president in 2015. He also served in the European Parliament from 2014 to 2015. He attended Jagiellonian University, where he's also taught, and received a Ph.D in law. He served as a Member of the European Parliament. His grandfather was in the Polish-Soviet War. He's an avid skier. His parents, Janina and Jan, were university professors. He married Agata Kornhauser in 1994. They have a daughter named Kinga. He beat incumbent Bronislaw Komorowski in a run-off election to become President.